Nicholas Griffin (2020, Monticello, Ark.) has impressed already at the plate this weekend as well as in the outfield, but on Monday in the relief of the morning quarterfinal matchup what he did on the mound was noteworthy for the Sticks Baseball Academy. Griffin’s lefthanded arm works so easily through the back and his frame oozes projectability. 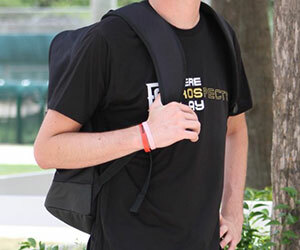 Griffin attended plenty of big-time PG events in 2018 including the Jr. National Showcase as well as the Underclass All-American Games in San Diego. Griffin topped out at 90 mph on this day pitching with an extremely easy delivery exerting minimal effort at release. Griffin challenged hitters primarily up in the zone getting hitters to swing through it. He flashed a changeup as well on one occasion, but the fastball was the primary weapon for the southpaw committed to Arkansas. Griffin’s battery-mate Cason Tollett (2019, Little Rock, Ark.) had a big day throughout his triple-header catching two games and designated hitting in another. Tollett is a lean backstop with plenty of room to fill and athleticism to play multiple positions. Tollett solidified the victory in a wild quarterfinal game as he made an outstanding pick behind the plate on a low pitch in the dirt. The Arkansas commit scooped the baseball and transferred it cleanly and quickly to his bare hand and fired a strike to second to nab a would-be base stealer for the final out of the game. In the second game of the double-header, Tollett opened up the offensive outburst for the Sticks by roping a double to the pull side gap. The swing he put on the baseball was protective with two strikes shortening up and flicking his wrists. The ball still carried well off of his barrel showcasing an excellent loose stroke. Jackson Haga (2019, Bowling Green, Ky.) Ultimately earning himself the Most Valuable Pitcher award, Haga made his second appearance of the tournament for Northeast Baseball National topping out at 90 mph with lots of command and striking out seven hitters in 3 innings pitched. Haga worked ahead repeatedly getting ahead of hitters with his fastball and putting them away with a sharp breaking ball. Haga was highlighted earlier in the weekend for his ability on the mound, but the dominance he had on the mound in Monday’s semifinal game was worth noting for a second time. Heading over to a consolation game on Field 4 on the Dodgers side, Tyson McInnes (2019, Surrey, British Columbia, Canada) was the starter for the Brewers Scout Team. McInnes was up to 92 mph on the mound in a short one inning stint two nights ago before working up to 89 on Monday morning. A physical presence on the mound, McInnes stands at 6-foot-3, 190-pounds with well-proportioned strength throughout his frame. A Junior College commit to Arizona Western College McInnes showed outstanding pitchability in this contest firing a two pitch combination that kept hitters off balance throughout. His fastball was well located virtually anywhere he wanted working the ball in and out as well as up and down. This allowed for his curveball to get hitters to swing through it when landing down in the strike zone and chase it when buried down and out of the strike zone. McInnes’s mechanics are very clean with an online arm action creating a downhill plane to the plate. A pair of hitters on the day made big impacts to their game with one swing of the bat. Tanner Smith (2021, Chandler Ariz.) of Northeast Baseball American stroked a towering home run to his pull side putting Northeast ahead in the quarterfinals. Smith is a primary catcher who made his two starts at third base on this day. His swing has lots of strength at impact as Smith is well-built with plenty of strength present on his frame. Another hitter who made a big impact on their game is Arizona commit Kyle Casper (2020, El Cajon, Calif.). Casper faced off against the best velocity of the entire event and that did not faze him from squaring up the baseball for the go-ahead RBI of the game in the bottom of the sixth inning. Casper’s compact stroke worked very well against a 94 mph heater over the middle of the plate as he sent the ball right back where it came from for ultimately the game-winning hit. Cody Adcock (2020, Texarkana, Ark.) started the championship game for the Sticks Baseball Academy and although he did not have the best command on this day, his physical projection and velocity were intriguing in their own rights. Adcock’s delivery is online with a clean arm action and creating an easy plane with his fastball especially when down in the strike zone. His arm is very quick producing a fastball that ranged from 86-89 mph while reaching 90 mph on a pitch as well. His curveball was thrown on many occurrences as well showing tight spin. 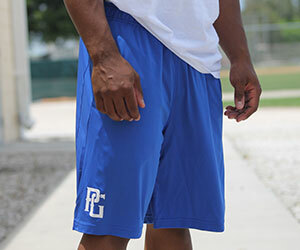 CCB Elite was able to advance to the semifinal round of the tournament with a big 15-1 victory in four innings. On the mound for elite was dominant lefty Drew Dowd (Belmont, Calif.). Dowd, a 6-foot-1, 190-pound Stanford commit, is every bit as good as any lefty in the tournament. He was near untouchable throughout his four-inning appearance, allowing just a single run on two hits. The 2020 southpaw already shows advanced feel for three pitches. His fastball rides up to 90 mph with more in the tank to come. He pairs that with a sharp breaking ball and a deep fading change showing feel for all three collecting eight total strikeouts. Though the game ended with a lopsided score Dowd was a big factor in the victory. Tyler Soderstrom (Turlock, Calif.) had a strong day at the plate in the 15-1 victory, going 2-for-3 with two runs scored as well as three RBI. Soderstrom, a UCLA commit, is a pure contact hitter producing hard line drive contact off the barrel of the bat. Though both his hits were singles, he was able to do damage in key situations and consistently plate runs when he was at the plate. A smart worker on the bases, Soderstrom also took bases when given a sliver of opportunity, as well as displaying his speed. Batting in the two-hole for CCB and doing some damage himself was Tommy Troy (Los Gatos, Calif.). Another 2020 graduate who is also committed to Stanford after graduation, Troy is a smart hitter who can work the count well to his advantage. 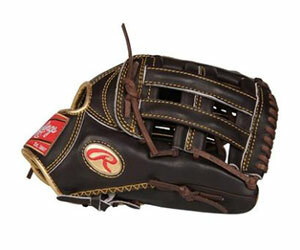 He has quick hands to contact and is able to work solid contact to all parts of the field. Troy finished the game 2-for-2 at the plate with a couple runs scored and a couple of RBI as well. It was a wire-to-wire game for Milwaukee Brewers Scout Team – Canada 16u as they were able to just get out of there with a win. It was all thanks to No. 3 hitter Brody Alexandre (Swift Current, Saskatchewan, Canada). Alexandre really showed off a strong hitting ability as he was able to finish 3-for-3 in the game. He has tremendous amounts of jump in his barrel. In the bottom of the seventh inning, tied 1-1, Alexandre hit a walk-off home run into the wind to right field. NorCal Baseball 2022 Blue stayed undefeated throughout the tournament to finish as the Freshman champions. They were able to outlast a good Sticks team by a score of 1-0 off the back of a gutsy performance from starter Jaron Navarez (San Ramon, Calif.). The lefty has a fairly projectable frame, and, even at just 5-foot-9, he shows the ability to be a dominant performer on the mound. Navarez is smooth with his delivery with a lot of looseness working to the plate. He has arm speed through his release and can fill the zone up well working at 81 mph. He allowed just two hits through 4 2/3 innings while striking out six batters. Tyler Gough (2022 Perris, Calif.) Started Dykstra Baseball 2021’s run to the championship game with three shutdown innings in the quarterfinals. 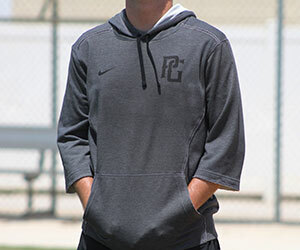 The Oregon State commit showed advanced feel for pitching with a long loose arm action in his easy delivery, Gough relied on an impressive three-pitch mix including a fastball topping out at 87 mph, a curveball at 66 mph with good depth and a sweeping slider at 73 mph. In his three innings of work the California native collected seven strikeouts while allowing one walk, two hits and no runs. New Level prep brought home the 2019 MLK West Underclass title and Zach Sharp (2020, Olympia Wash.) was a key to that championship. The Washington native was 2-for-3 in the quarterfinal game collecting three RBIs helping to key his team to a late win in extra innings. The fun didn’t end there for Sharp as he added two more RBIs to his tally for the day with a loud triple into deep right field. Keegan Allen (2021, Rodgers, Ark.) showed the ability to make a difference in the game in multiple ways today. First Allen smoked a single through the infield driving in three runs. Later in the game Allen came into the game and opened a lot of eyes with his performance on the mound. 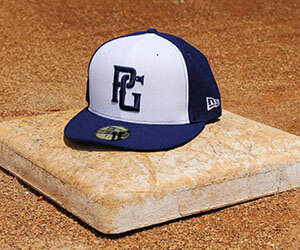 The PG Underclass All-American Games participant featured a fastball with good tilt topping out at 90 mph complemented by a sharp curveball at 75 mph. The Arkansas native showed a lot of confidence in his stuff coming into a bases-loaded jam with no outs and inducing a double play and collecting a strikeout to get out of the inning allowing no runs. Drake Anderson (2021, Puyallup, Wash.) was a problem at the plate for opposing pitchers in all three games New Level Prep played Monday. In the quarterfinal matchup Anderson showed the ability to spray the ball to all areas of the field with power, hitting an opposite field double and hitting another loud double to the pull side while driving in two runs. In the semifinal matchup Drake was able to stay hot hitting another double. The Washington native didn’t cool off in the championship game either, as Anderson collected another hit and an RBI for New Level Prep on the way to their MLK West Underclass championship. New Level Prep was in close games all the way through the playoffs until the championship game and Kyler Johnson (2020, Puyallup, Wash.) was dominant on the mound in his 4 1/3 innings of work in the championship game, collecting six strikeouts while scattering three hits and surrendering zero runs. Johnson displayed a great feel for pitching without overpowering velocity, keeping hitters off balance the entire game with a fastball topping out at 83 mph and a curveball with good depth topping out at 69 mph. The Washington native also kept hitters off balance by using different timing and movements in his windup and delivery creating a lot of deception.